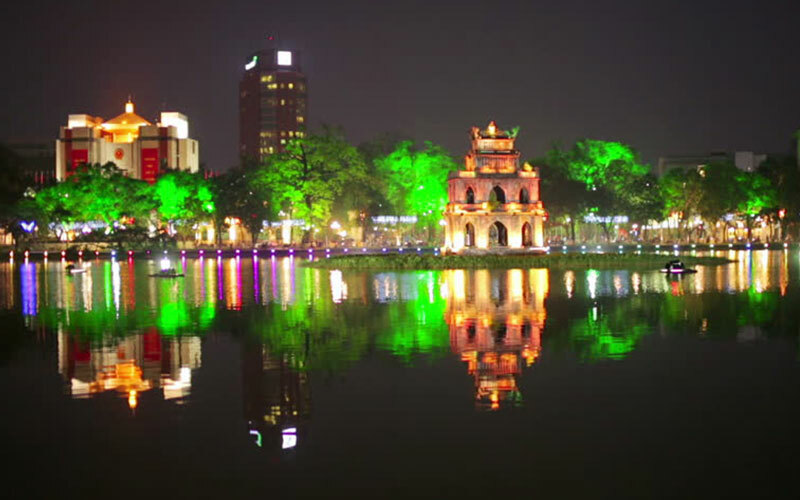 Sun N Fun Holidays will take you to the heart of Vietnam where you will explore beautiful beaches, lush country side, vibrant cities and preserved war zone. 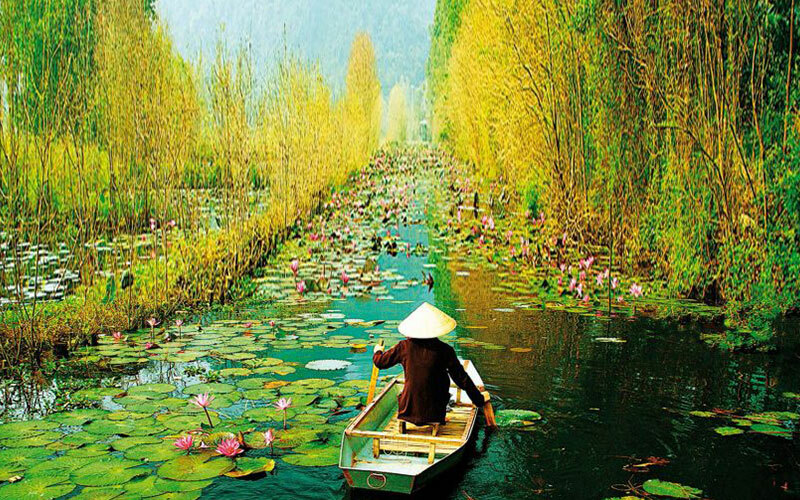 Vietnam, truly is its own experience. Vietnam reopened its doors to the outsiders in 1990 and began attracting Travelers from across the globe who seek a beach break. Palm tree shaded beaches, striking ancient temples, cheap hotels, fresh seafood grilled right on the beach, mind numbing cruises and lively bars where locals and tourists happily mingled and laugh over makes this country a unique destination. 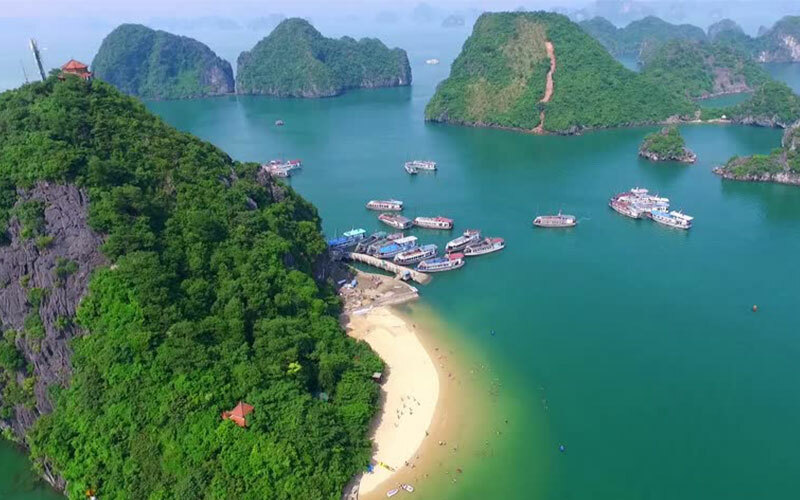 If beaches aren’t enough to keep you entertained, there is a Vietnam’s version of Disney World that has water park, aquarium and clear, calm beach, all in one place where you can spend your whole day exploring and relaxing. 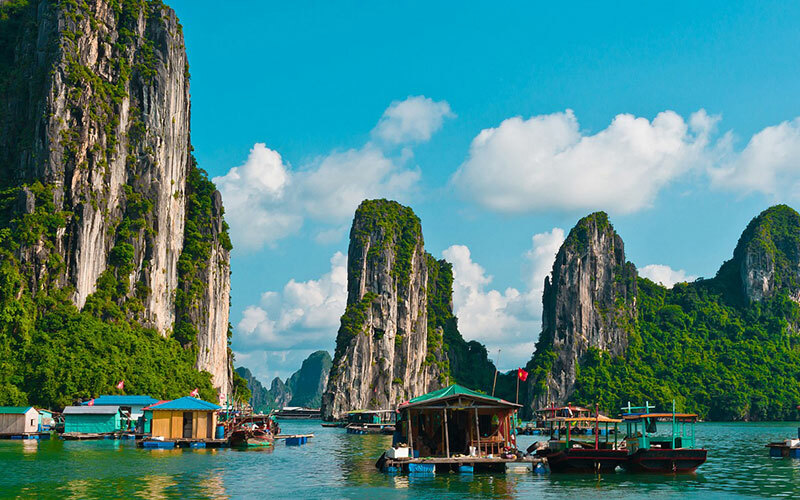 Vietnam is a country of breathtaking natural beauty to which can added a rich historical heritage through interesting sites, all to be enjoyed on a Vietnam Holiday. All in all, Vietnam is an ideal location for not just families, but also for honeymoon couples, adventure seekers and history hunters. Day 3 Morning: take a half-day tour to the Cu Chi Tunnels, The location of the tunnels was of significant strategic importance: they’re at the end of the infamous Ho Chi Minh Trail, and within striking distance of the southern Vietnam capital. Initial construction started in 1948 when the Viet Minh required somewhere to hide from French air attacks, and by 1965, the tunnel complex was estimated to consist of 200 km of tunnels. It included, hospitals, schools, meeting rooms, kitchens, and sleeping quarters. Life was difficult for the inhabitants, and to protect against outside intruders, booby traps were laid throughout the complex. Back to Ho Chi Minh City and spend time at leisure. Lunch at a local restaurant. Afternoon: tour in the city starting with Saigon Notre-Dame Basilica, a neo-Roman cathedral built over 130 years ago by the colonial French with materials entirely imported from Marseilles and stained-glass windows from Chartres. Next, visit Sai Gon Post Office, a fine colonial building which was designed and built in the early 20th Century by the famous Frencharchitect Gustave Eiffel. Shopping Tour: Ben Thanh Market, Lon Market, Saigon square , Miss Ao Dai…. Dinner at local restaurant. Overnight in Ho Chi Minh. Day 4 After arrival My Tho, we take a local boat along Dragon Island, Unicorn Island, Phoenix Island, Turtle Island and stop at the famous Unicorn Island. While at the Unicorn Island, you will visit natural pure honey at the bee keeping farm. Taste some honey tea, rice wine, banana wine…rom there, we continue on motor boat trip to Ben Tre province to visit a handmade coconut candy workshop. Then we get back to a boat go through the lush, green canals that are so beautiful for photography. We stop at local restaurant for lunch. After that visit to another area on the Unicorn Island to visit the tropical fruit garden, enjoy the fruits & listen to the Southern traditional music. After feasting on a huge lunch we return to Ho Chi Minh. Free at leisure at market. Dinner at local restaurant. Overnight in Ho Chi Minh.